Unfortunately, due to sales rights restrictions, we cannot offer Fall of the Double Eagle for sale in your country. Although southern Poland and western Ukraine are not often thought of in terms of decisive battles in World War I, the impulses that precipitated the Battle for Galicia in August 1914?and the unprecedented carnage that resulted?effectively doomed the Austro-Hungarian Empire just six weeks into the war. 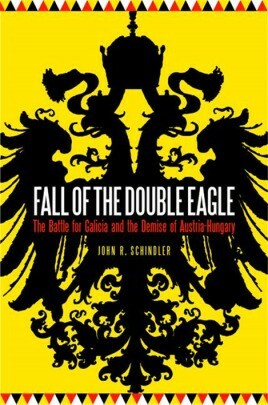 In Fall of the Double Eagle, John R. Schindler explains how Austria-Hungary, despite military weakness and the foreseeable ill consequences, consciously chose war in that fateful summer of 1914. Through close examination of the Austro-Hungarian military, especially its elite general staff, Schindler shows how even a war that Vienna would likely lose appeared preferable to the ?foul peace? the senior generals loathed. After Serbia outgunned the polyglot empire in a humiliating defeat, and the offensive into Russian Poland ended in the massacre of more than four hundred thousand Austro-Hungarians in just three weeks, the empire never recovered. While Austria-Hungary's ultimate defeat and dissolution were postponed until the autumn of 1918, the late summer of 1914 on the plains and hills of Galicia sealed its fate.